Pfizer/WH completed a comprehensive Focused Feasibility Study (FFS) process, which included an extensive evaluation of available environmental cleanup technologies for Operable Unit 8 (OU8), also referred to as Impoundments 1 and 2. Background information on Impoundments 1 and 2, and the FFS process is provided below. Impoundments 1 and 2 are located south of the freight rail line in the southeastern corner of the site. Impoundment 2 (2.3 acres in size) was constructed in 1947 and used until 1956; while Impoundment 1 (2.1 acres) was constructed in 1956 and used until 1965. Both impoundments were used for the storage of acid tar waste from a coal light-oil refining process that produced solvents such as benzene, toluene, xylenes and naphtha from coal oil, a by-product of coke manufacturing. Approximately 6 million gallons of light oily material have been pumped from these impoundments and recycled off-site, leaving a non-pumpable, acidic, viscous, tacky tar that contains volatile organic compounds, such as benzene. Properly addressing the remaining acid tar material is the focus of the FFS. Both impoundments have a low-permeability synthetic cover and water cap over the waste material for odor control. 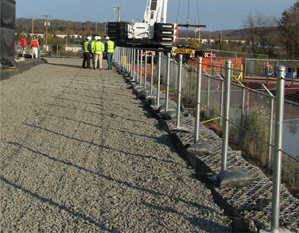 In addition, the synthetic covers provide scour protection for the waste materials in the event of a flood. 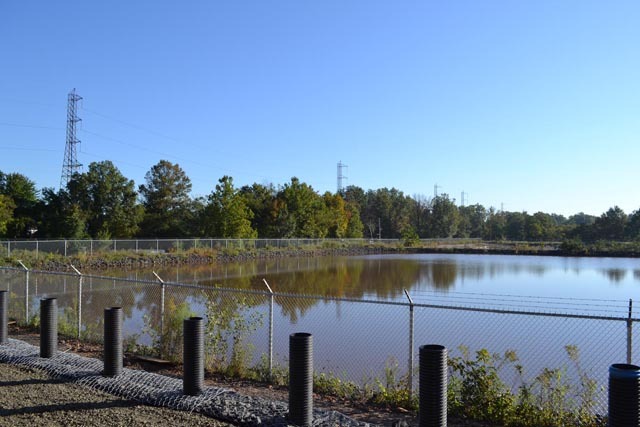 The impoundments are secured by a chain-linked fence, monitored by a 24/7 onsite security firm and surveillance cameras, and inspected on a regular basis to ensure their stability. During the course of preparing the Site-wide Feasibility Study, it became clear that Impoundments 1 and 2 presented significant and complex challenges that require dedicated analysis. 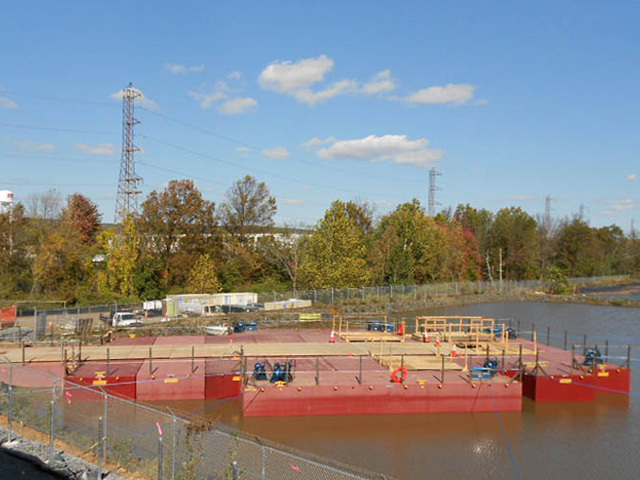 In the interest of continued progress in remediating the overall site in a safe and effective manner, USEPA and NJDEP agreed that these impoundments should be addressed separately and established a Focused Feasibility Study process to evaluate remedial alternatives. The FFS process for Impoundments 1 and 2 is a multi-step program that is designed to identify the best technology for managing the impoundments. The FFS process includes the evaluation of previous studies and screening of additional available technologies, laboratory bench scale testing and field pilot testing of the most promising technologies, and a FFS report outlining remediation alternatives for addressing the impoundments. Based on the results of the technology screening and laboratory testing program, a pilot test was performed to evaluate the effectiveness of three technologies in the field. This was an important step to determine the viability of implementing these technologies under the challenging field conditions present at the site. The results of both the laboratory and field demonstration testing were used to inform the study. The FFS report evaluates a range of remedial options for the impoundments, that take into consideration the remedial action objectives, treatment and ultimate disposition of the materials, the feasibility, implementability, and effectiveness of the remedy (which will include consideration that the impoundments are within a floodplain), and community and other stakeholder feedback. A Pilot Study, or field demonstration test, was performed on Impoundments 1 and 2, located south of the freight rail line. Design of the field demonstration test was completed in June 2013 and construction of the required infrastructure began in August 2013. The pilot test, as described below, operated between February and June 2014 and the pilot equipment was demobilized in July 2014. All work was done with oversight by USEPA and NJDEP. 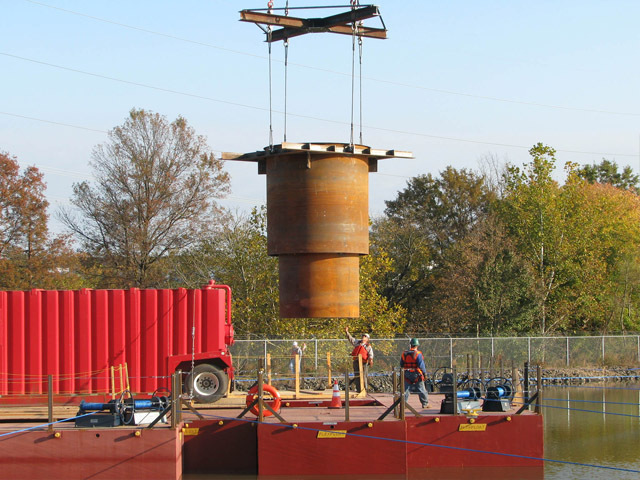 Three seven-foot diameter steel caisson test cells were mounted on a Flexifloat platform (see photos in right column) located on Impoundment 2. 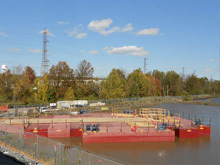 A demonstration test was conducted on the impoundment material within each of the three test cells. and the third cell evaluated the effectiveness of combining the two technologies. During the field demonstration testing, the tops of the caissons were sealed and vapor control systems collected vapors generated from the testing and treated them onsite in a thermal oxidizer and caustic scrubber located adjacent to the impoundment. Continuous air monitoring occurred during the operations to monitor conditions and safeguard workers and the community. 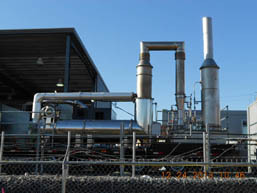 Additional laboratory studies were conducted in 2016 to evaluate the feasibility and effectiveness of additional options for treating and/or disposing of the impoundment materials: disposal of impoundment material in the Impoundment 8 Facility landfill on Polhemus Lane, thermally enhanced ISS, and mechanical dewatering followed by offsite treatment at a cement kiln or incinerator. The data collected from both the laboratory and field demonstration testing was analyzed as part of the focused feasibility study process. 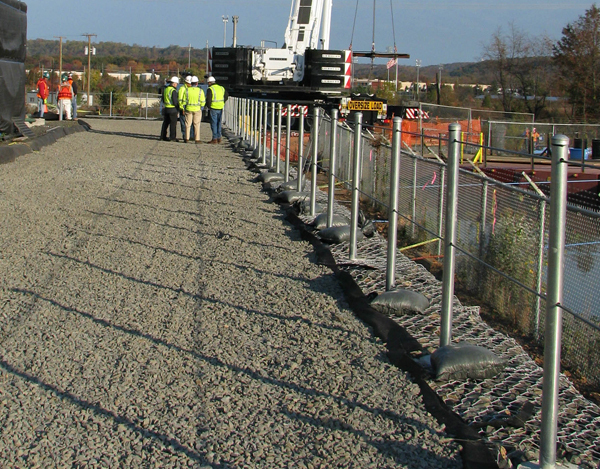 An elevated bench located adjacent to Impoundment 2 allows for operations and management activities. A FlexiFloat barge platform was used to safely perform the pilot test operations. Steel caissons provided a safe and controlled environment for conducting the pilot test. 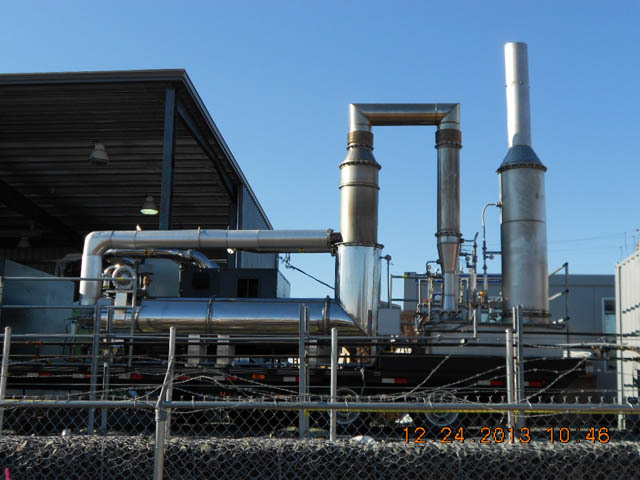 An on-site thermal oxidizer system treated all vapors generated during the pilot test. This system complied with requirements set by USEPA and NJDEP.